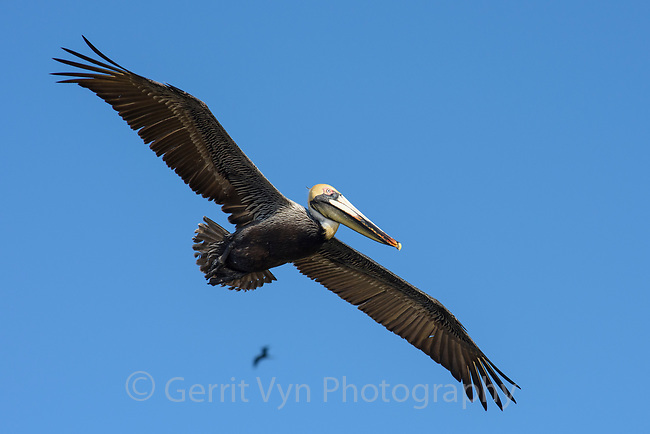 Brown Pelican (Pelecanus occidentalis) in flight. Yucatan, Mexico. February.